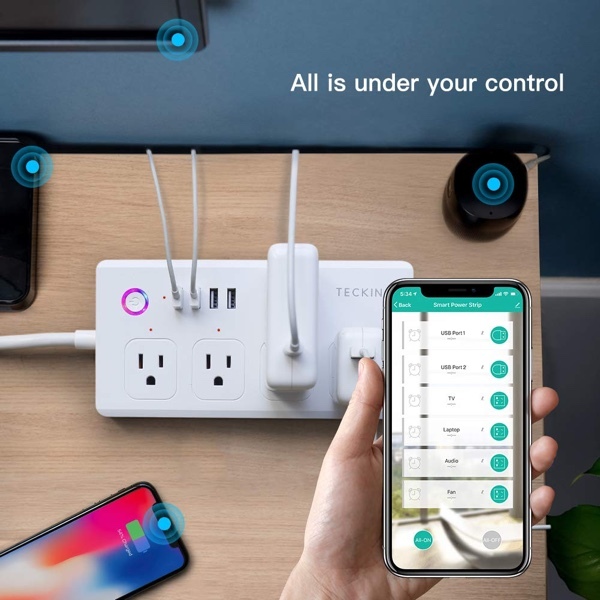 This highly diverse, extremely popular and highly-rated TECKIN multiple outlet power strip is available to purchase right now with an impressive 23% discount. 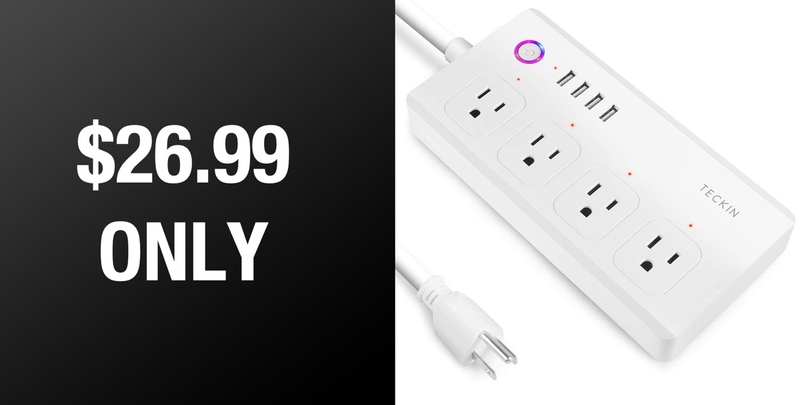 The first thing that you are going to notice about this power strip is just how versatile it is and how much it is going to extend your power capabilities via one single outlet. Once this is plugged into a power source and has electricity coursing through its internals, you are going to get access to four socket outlets and four brand new USB ports built directly into the hardware. That means that one outlet has the ability to power a whopping 8 devices or appliances. If you just want to use those 8 outlets to power appliances and accessories then everything is all well and good. However, you’re also going to get additional power with the power bar in the fact that it is also compatible with Amazon Alexa and Google Assistant. That means you can immediately control the hardware and its attached appliances via voice or even via the respective apps from anywhere in the world if you have an active and reliable data or network connection. Forgot to turn the TV off and aren’t going to be back home for a while? No problem, just use your mobile device to control power to this device remotely. It is made from flame retardant materials and has been built with safety and maximum longevity in mind. It may not be the most beautiful product that you will ever allow into your home but it is definitely one that you will get a lot of usage out of. If you are ready to make a commitment to the smart and convenient power strip then you have come to the right place. You’re going to find everything that you need to know at the direct product link below. This deal is currently offering an impressive 23% reduction in price, which, like most deals, isn’t going to last forever. With that in mind, if this is the type of product that you need in your life then we recommend that you act promptly and secure the savings.